I once followed strict orders from a native New Yorker to visit the 7th floor of Bloomingdale's on 59th St. for...frozen yogurt. I can't remember if it was the intrigue of specificity or the 100 degree August summer that made me follow through. Either way, I haven't encountered a yogurt like it since, and I tell *everyone* I know who's visiting Manhattan to go. During recent city travels I've been most interested in commonplace obscurities. I definitely want to check out your local grocer, that pottery studio that allows drop-ins, the cafe with your favorite corner seat, the reliable "it's 7pm on a Tuesday and you forgot to make dinner" neighborhood eatery. Please tell me: what local drugstore imports that generic French drugstore face cream? Where can I go walking aimlessly with like, a 3/10 chance of getting lost? Which bus route has the best view? I'd love to know! What follows is a list of some of some of my favourite things to do in Vancouver. Not everything is especially trendy because my goal isn't to save you from the mundane. My only promise is that each place has sincerely shaped my experience of the city in some way. And should you visit, I hope it will shape yours, too. EAT: A burger at the Oakwood, aburi sushi at Green Leaf, peanut-butter ice cream at Rain or Shine. 80% chance you’ll encounter rain on your trip – it’s par for the course...i.e. Grab a bowl of phõ at Mr. Red Cafe or Pho Japolo. DO: The neighborhood grid system in Kitsilano (Kits for short) makes for organized meandering and park-hopping. Find your way to Margaret Pigott Park for uninterrupted views of the inlet, and onwards to Kits beach to marvel at the mountains. Take the bus to UBC campus to visit the Nitobe Memorial Garden, which is among the top five Japanese gardens outside of Japan (if you're extra prepared, make a reservation to attend a traditional Japanese tea ceremony in the garden Tea House). Also, while you're there, make sure to stop by The Museum of Anthropology. SHOP: Head to West 4th for shopping. Browse gravitypope for shoes and designer wear, check-out Lululemon's flagship store, and Ayoub's Dried Fruits & Nuts for freshly roasted lime and saffron cashews. EAT: Experience the best mocha of your life at JJ Bean (salty-sweet perfection), grab a triple-baked croissant and cardamom kouign-amann from Beaucoup Bakery, and the vegan kale caesar at Heirloom. DO: For obvious reasons, Vancouver is heralded for its Seawall – a 28km-long (17 mile) footpath that lines the water. One of my favorite stretches begins/ends on Granville Island. Head east along the pathway towards False Creek. Once you reach Olympic Village, make your way to Earnest for a scoop of their earl grey ice cream. Also, take a sunrise/sunset yoga class at Semperviva studio (one of five locations) on Granville Island. Catch Wesley for a class if he's around. 33 Brewing Experiment, an extension of 33 Acres Brewing. Matchstick Coffee on Main St.
EAT: Mt. Pleasant is cafe central. Hit up Elysian (location on Ontario/8th), Matchstick (location on Main St.), and Milano for local coffee. Liberty Bakery for Swedish inspired fika treats, Ubuntu for cream puffs, and Le Marché St. George for a ham + gruyere crepe. DO: Grab a beer or three at 33 Acres or Brassneck brewery. And head to Main St. for 20+ blocks of shops/cafes/restaurants worth your browsing. Start at Broadway St. and head south on Main St. towards 32nd St.
SHOP: Eugene Choo, Much & Little, Front and Company. + Vancouver's first refill shop The Soap Dispensary and The Regional Assembly of Text for stationery goods. EAT: Kin Kao Kitchen for Northern Thai. Caffé La Tanna and Moja for coffee. DO: The busy corridor shuts down one day in June for Italian Day on the Drive, one of the city's most popular street fairs. Catch it if you can. 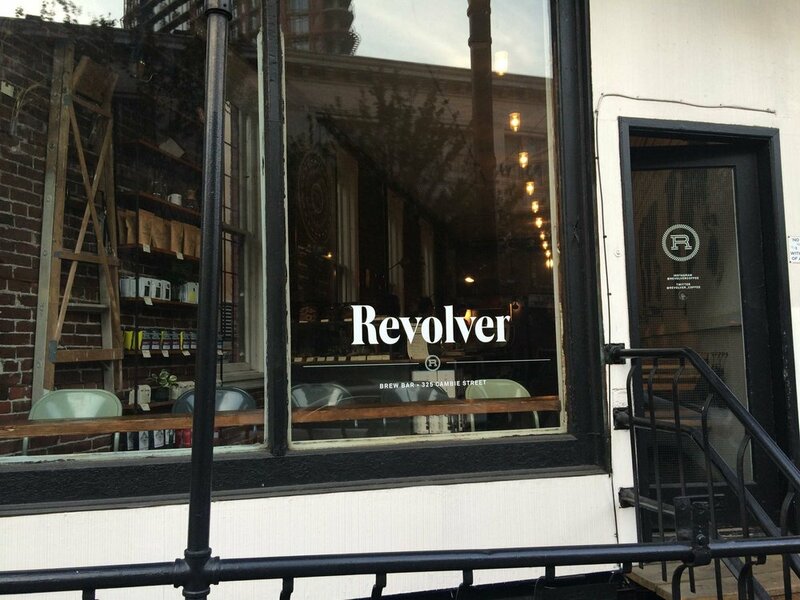 EAT: Revolver and Timbertrain for coffee. The Birds & The Beets and Nelson & the Seagull for breakfast/lunch fare. Fried brussels sprouts at The Flying Pig. A drink and dinner at L'Abbatoir (Snag a seat in their atrium). Handmade pasta at Ask for Luigi. 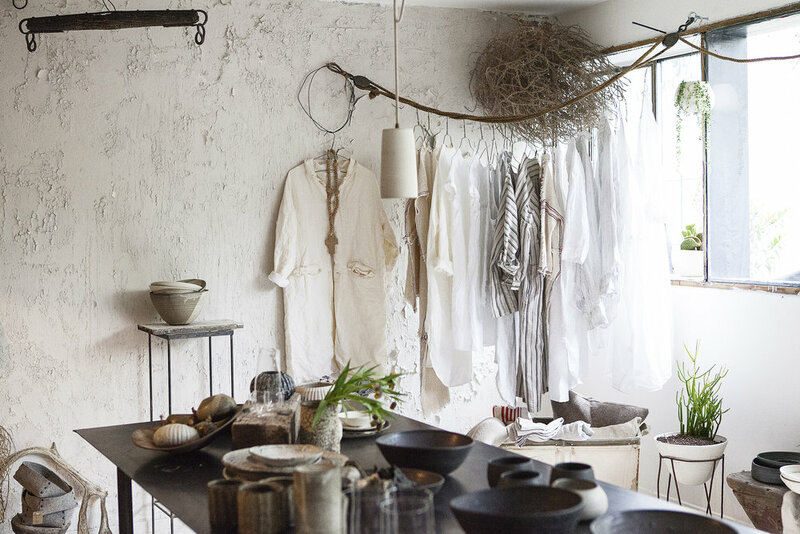 SHOP: Old Faithful Shop for design + homewares. One Of A Few for contemporary women's fashion (think: Rachel Comey, Black Crane, Mr. Larkin, Shaina Mote, Samuji Studios). Dutil for denim, and Hey Jude. Tip! Glenn’s instagram account is full of great travel and cooking reccs. Follow along to have dumplings, carnitas, and cakes de-mystified. Thank you, Glenn for sharing with us the great city of Vancouver. I have visions of early morning yoga on the water, golden hour walks to European cafes, and can’t quite get over the great shops. Are all of the interiors of Vancouver jaw-dropping? Stick with us! We have a few more city guides planned as we explore some of our favorite cities through the eyes of our favorite creatives. (Everyone is a creative!) If you have a city you’d love to know more about or want to share a tip, drop us an email at FELIZsale@gmail.com. Otherwise, set a price alert on tickets to Vancouver and let us know if you use the guide.